Lindos is located about 50 km (30 miles) south of Rhodes Town. It is perhaps best known for its beautiful Acropolis, situated on top of a hill and providing beautiful panoramic views of the surrounding harbors and coastline. It is the first acropolis in Greece I visited that was not covered by scaffolding :). There are also many nice beaches in the area. 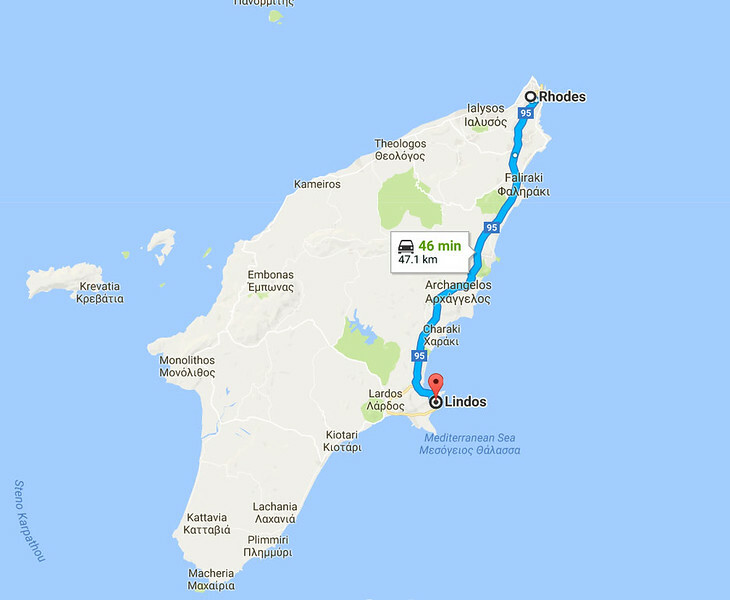 Lindos is located about 50 km (30 miles) south of Rhodes Town.